Founded in 1989, Lyons Commercial Data, a division of Autoscribe Corporation, is a premier provider of quality U.S. financial institution data including bank routing numbers and other information critical to transaction processing. 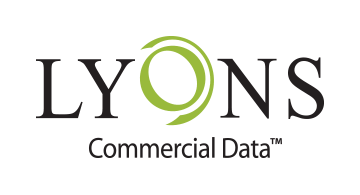 Lyons Commercial Data helps processors, financial institutions, and businesses optimize their ACH processes, manage risk, and mitigate fraud by providing quality data via online tools, downloadable databases, and a web services API. Not only is our financial institution database updated with data from multiple government agencies, but our dedicated content management team evaluates and updates financial institution records on a daily basis. Lyons Commercial Data offers quality data services designed to provide cost-effective and reliable compliance support for ACH and check routing verification, bank account verification, OFAC, Anti-Money Laundering, and Know Your Customer efforts. Data security is assured because Lyons Commercial Data processes are built on a PCI-DSS certified platform.